That is why, even in a place that is half the world across from Pakistan, we continue to search for people from similar pedigrees and judge others on preconceived notions. Edmonton like many other metropolitan cities is an interesting blend of people of various nationalities, race, religion and creed. Walk around in the neighbourhood or enjoy the lazy summer sunshine in a park and you will be struck with a variety of people and languages you hear. The same exotic sampling of populations is present in schools, which gives children a wonderful opportunity to not only mingle or learn about various cultures but also to accept their differences and forge friendships out of their own communities at a very young age. It was a special day for the children of a small elementary school in Edmonton. They had been preparing for the event for quite some time and now it was time to appreciate their efforts and hard work. The event was a Cultural Festival organised by the local school to celebrate its multicultural and diverse community. The students made the decorations for the festival themselves. As a part of their Social Studies curriculum, teachers had been discussing their native countries, religion and languages. Thus, they encouraged their students to communicate in their native language at home rather than in English. The participants were asked to attend the event dressed in their traditional clothes and bring along their native cuisine to be sampled by others. Considering there are limited opportunities for him to showcase his native clothes in front of his school friends, my son was quite animated that day as he carefully chose a white kurta, a black vest and a matching cap that was embroidered with gold threads and embellished with small mirrors. The school grounds were adorned with giant marquees with each continent having its own booth manned by volunteer parents and students and decked up with student made garlands, flags and streamers. The Asian marquee had a Nepalese, Indian and Pakistan booth. We headed for the Pakistani booth and greeted our fellow countrymen with delight. Young boys were smartly dressed in kurtas, ladies in vibrant hues; everyone was flaunting our culture and it made me rather nostalgic about my life earlier when I lived in Pakistan. The aroma of chicken biryani wafted through the booth. Curious visitors kept coming to sample the delicacies; the biryani proved to be a hit and had vanished in no time. It was here that my child got his first lesson in ethnicity, and he was informed that, for Pakistanis, when making a choice between nationalism and ethnicity, nationalism is always secondary. No matter which part of the world you’re living in, you will always be judged based on the genealogy of your family tree rather than being just a plain old Pakistani. Beginning with your province and ending at your caste, with your sect and family in the middle, everything will be carefully inspected by your fellow men. She asked my son what he was wearing and he was perplexed – perhaps by the absurdity of the question. Surely this beautiful lady in a blingy shalwar kameez, flowing dupatta and clanky bangles looked every bit like she belonged to the same native land. Then, why was she asking him what he was wearing? Doesn’t she already know? Or maybe she was just trying to start a conversation with him. “Yeah, but what are you dressed up as?” She probed again. It was time for an intervention. I stepped forward to ask what the problem was and if I could help. She looked confused and I don’t blame her. Regrettably our inherent disposition leads us to form identities through ethnic alliances and not with the country itself. That is why, even in a place that is half the world across from Pakistan, we continue to search for people from similar pedigrees and judge others on preconceived notions. And, what is wrong in doing that? Nothing; if we wouldn’t have let our ethnic biases supersede our national agendas. 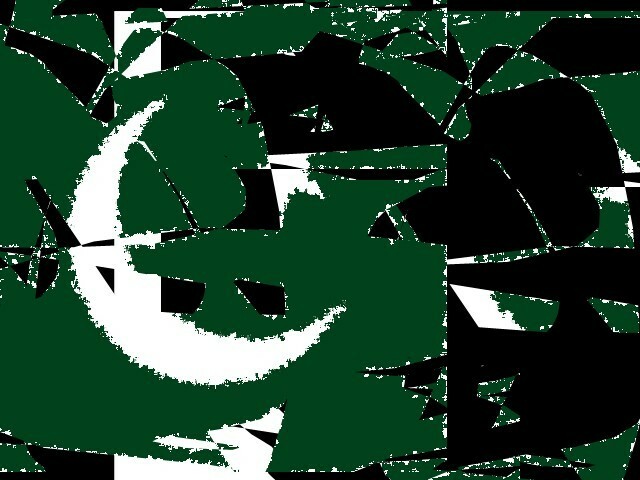 Yet ever since the inception of Pakistan, we have seldom displayed the true character of a nation and continually fallen prey to our deeply ingrained bigotry that is rooted in the fertile soil of ethnic conflicts and mistrust. Contrarily, for most Pakistanis, the feelings of loyalty and devotion are caged within the walls of ethnicity. Ironically, our country’s genesis was laid on the premise of religious nationalism which later on experienced partition by the very sword of ethnic differences. After its inception and the Quaid’s untimely departure, the leaders of this nascent nation failed to generate nationalist harmony and channel patriotism. The cracks of division began to show early and religion failed to curtail ethnic incitement and conflict, eventually resulting in the break-up of Pakistan. During the last 69 years of existing as a sovereign country, there are only a handful of times we actually displayed solidarity as a nation. Recalling those treasurable moments might even prove to be a tall order for the younger generation – who are now surrounded by a bubble of perpetual ignorance and are indifferent to the issues of its motherland. The author resides in Canada and is passionate about writing. Why are our children brain washed to become “followers” instead of “thinkers”? With respect I disagree with the author, there is nothing wrong with being in touch with your ethnicity. Infact there are very few countries which are homogeneous. Even a country like America is very diverse in culture and they embrace it openly and this is what makes them strong, they are not Americans because they are wearing some american clothes or eating some american food but because they love America equally even though culture in different states can be very different (NY, California, Texas are just few examples), they are united as Americans. UK on the other hand is still struggling with its identity by not fully devolving powers (as some may remember the Scottish referendum was a close call, 48% of people wanted to leave UK and that struggle is still going on). Pakistanis need to open up to this, embrace the fact that whether someone is dressed as Baloch, Pashtun, Punjabi or Sindhi, they can still equally love Pakistan, only then we will be united and strong. Unity will only come when we will accept each other. There is no such thing as a Pakistani Ethnicity.Just like there is no such thing as a One Indian ethnicity. Being a Pakistani means you are from Pakistan. So how come the author is mixing the two terms is not comprehensible in my view. Pakistani is just a nationality but not an ethnicity. Ethnicity and nationality must coexist in a mult-ethnic country like Pakistan. Forcefully shunning the local identities to make the fake ethnicity will not work. it’s swords, thumping it’s chest and doing the saber dance. Well,..see,..the provincial / regional dress of Punjab is a dhoti/kurta. the women wear shalwars. The Indian Punjabi Hindus mostly wear dhotis. all wear shalwars, both men and women. So you are dead wrong. always follow their omnipotent Masters, The Sharif Cabal. Same place where minorities like Ahmadis and Hindus are not even allowed to shop in the main bazaars. they must get others to buy their groceries. or scuttle in sideways. ground, killing more than 200,….this could go on for 10 pages.